We want the Boston Harbor Islands National and State Park and our many educational programs to be accessible to everyone. If you need financial support in getting here, let us know! Thanks to generous funders, we are able to provide free and discounted ferry tickets and free educational programs. We look forward to seeing you on the islands! Thanks to The Boston Foundation, Highland Street Foundation, The Lynch Foundation, Yawkey Foundation and the National Park Service for their support of connecting communities to Boston Harbor and the Boston Harbor Islands National and State Park. 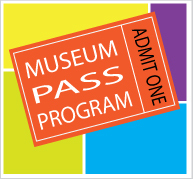 Two-for-one passes to the Boston Harbor Islands are available at participating Boston-area libraries through the Museum Pass program. Passes are free and available to anyone with a library card! Passes are subject to availability and are valid on weekdays during the park’s regular season. Find participating libraries. 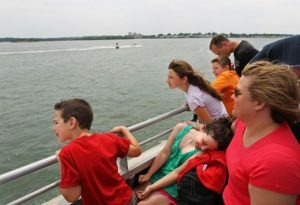 Thanks to our generous funders, every summer we are able to offer several Free Ferry Days as well as free ferry to chaperoned groups from over 130 non-profit community organizations. Boston Harbor Now supports the cost of up to 12 free community cruises to enjoy the history, views and beauty of Boston Harbor. Cruises will vary in length, destination, departure point and offerings depending on community. Boston Harbor Islands Partnership provides free access to the park for underserved populations through the Island Pass program. This program is sponsored in collaboration with Boston Harbor Now, Massachusetts Department of Conservation and Recreation, and the National Park Service through the generous support from Boston Harbor Cruises and Boston Harbor Now. **Please note we are currently at capacity for the 2018 season. Please sign up for the waitlist for updates should any openings occur: Sign up here.